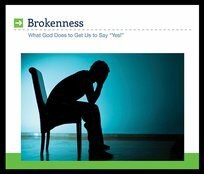 What God Does to Get Us to Say "Yes!" God wants us to be brought to a point of submission, a degree of yieldedness that holds nothing back from His control. We all know that for God to be able to effectively use us, we have to die to our self-will, our self-reliance, our self-interest, and our self-justification. This series on the book of Jonah is designed to help us understand the serious measures that must sometimes be used to bring us to the point of surrender. No matter how well you know the book of Jonah, you will find these messages have a direct application to your life and that of others. Here is insight into the human heart that can result in a whole new beginning of spiritual experience.